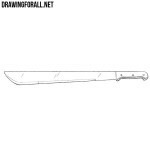 Hello to all, dear friends and welcome to the lesson on how to draw a kukri. 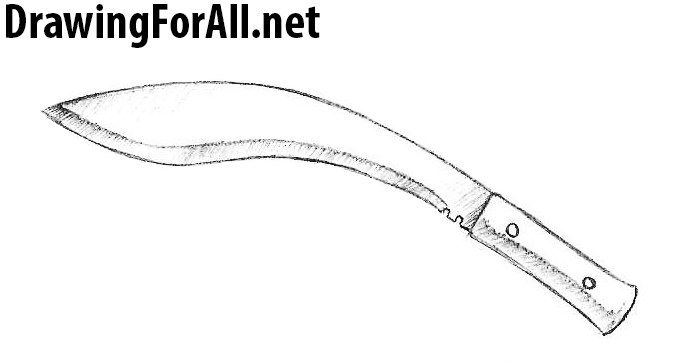 Kukri is a national knife used by Nepalese Gurkhas. 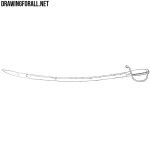 This weapon is also often found in many computer games of many different genres. 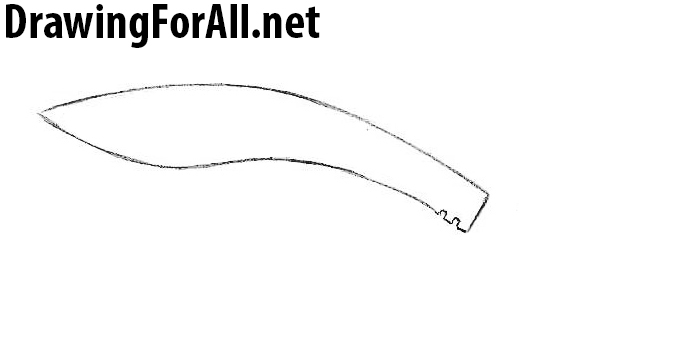 First draw an arc-shaped line that will be the top edge of the kukri. 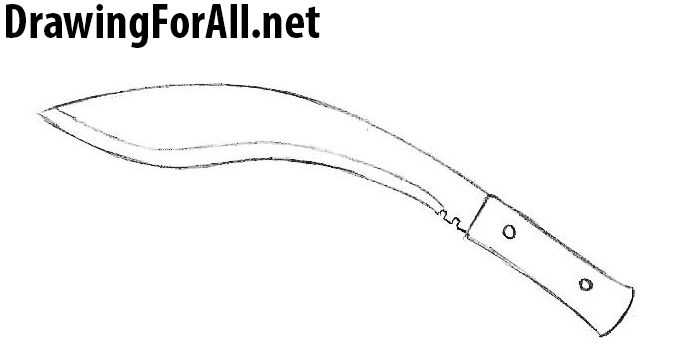 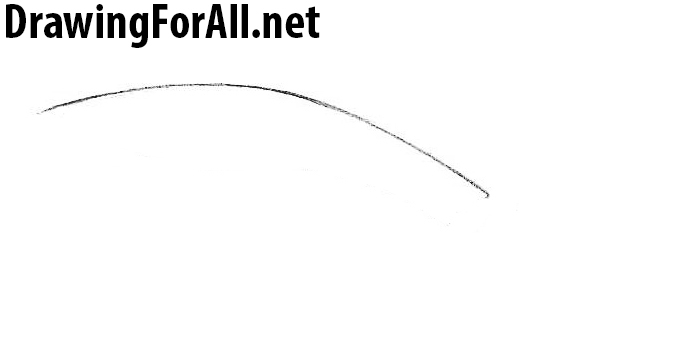 Draw a curved lower line of the kukri with serifs on one side. 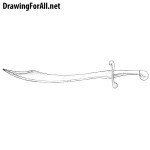 Drawing the grip of the kukri which very sharply expands at the very end. 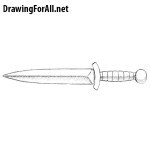 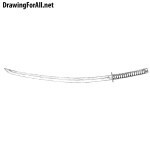 On the blade draw a sharpening line and two round rivets on the handle. 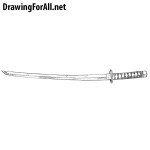 Add some shadows and a bit of glare on the blade as in our example. 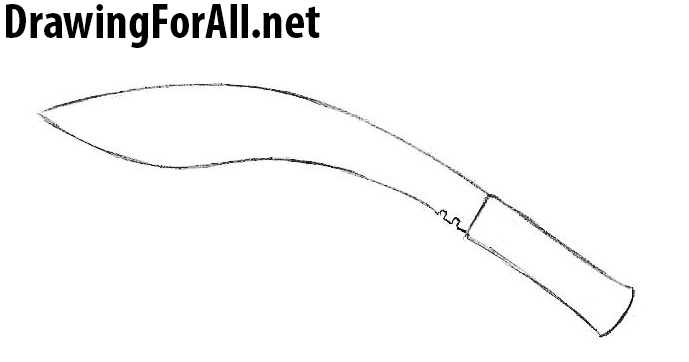 Kukri is a very unusual weapon in which the blade is very wide at the beginning and tapers closer to the grip.